With Snap Inc’s successful listing on the New York Stock Exchange yesterday comes renewed interest in the rise of the chat app. The owner of the popular chat app Snapchat saw its share price rise a phenomenal 44% during its first day of trading. Now the attention of investors is squarely on how Snapchat will deliver profits in future. There really is only one way: Advertising. Although the apps work in very different ways, the closet competitor to Snapchat remains the all-out favourite WhatsApp, owned by Facebook. WhatsApp used to have a paid-for option that few people knew about. The company dropped this fee in 2016. The only viable way in which this chat app can therefore generate revenue in future, is through advertising. When one analyses chat app (and increasingly social) revenue generation, advertising is the only business model that can realistically be applied. But “advertising” on digital platforms today is unrecognisable compared to traditional advertising in old media. Traditional media still deliver audiences to advertisers through editorial content, with advertising fairly clearly differentiated from this editorial content. In digital media, advertising and promotional messages are almost indistinguishable from content. Although flagged as “promotion” in many cases, users experience brand communication as part of the package. It’s integrated into content. (In my opinion this is one of the reasons why traditional media struggle to generate revenue on digital platforms. They are too used to advertising and editorial being separate, as the long-standing Time Inc principle of “church and state” demonstrates. In today’s world, highly targeted messaging, whether in psychographic or demographic form, are woven into the very fabric of a digital information stream. These embedded messages are so integral to a free chat app, that users both tolerate and respond mostly positively to its existence. Facebook’s euphemistic “post boost” advertising unit is a good example of the format that advertising takes today. Who wouldn’t want their posts to be boosted? In any case, company or brand page posts have little chance to be seen by a targeted audience if the posts are not boosted, or paid-for to be seen. This can be any post, so the advertising one buys in this instance is actually simply the opportunity to have the posts seen by a targeted audience on the network. This is obviously totally different to traditional advertising, where a clear distinction is made between paid-for and not-paid-for communication. Embedded advertising, or content-based advertising (so-called native advertising), is also really the only way for digital media such as a chat app to generate revenue. Users do not respond well to traditional interruptive advertising on digital, but tolerate brand communication if it seamlessly forms part of a content stream, as in the case of Instagram photo and Facebook post boosts. But back to Snapchat. How this trendy app will make money is probably through some form of integrated brand experience offering (promotional advertising). According to Investopedia, Snapchat could earn revenue from embedding brand messaging into its stream of user consciousness, unobtrusively offering users and brands the opportunity to engage. In addition, it’s Discover feature allows (likely paid-for) media partners such as CNN and ESPN to put content (euphemistically named “stories”) in front of its users. I think both Snapchat and WhatsApp chat app advertising revenue will increasingly come from content that users may or may not even experience as such. Brands simply pay for the opportunity to “tell stories” that are then placed in front of users in a natural way as apart of the experience. If Snapchat can be half as successful as Facebook in doing this, its lofty valuation will stand the test of time. 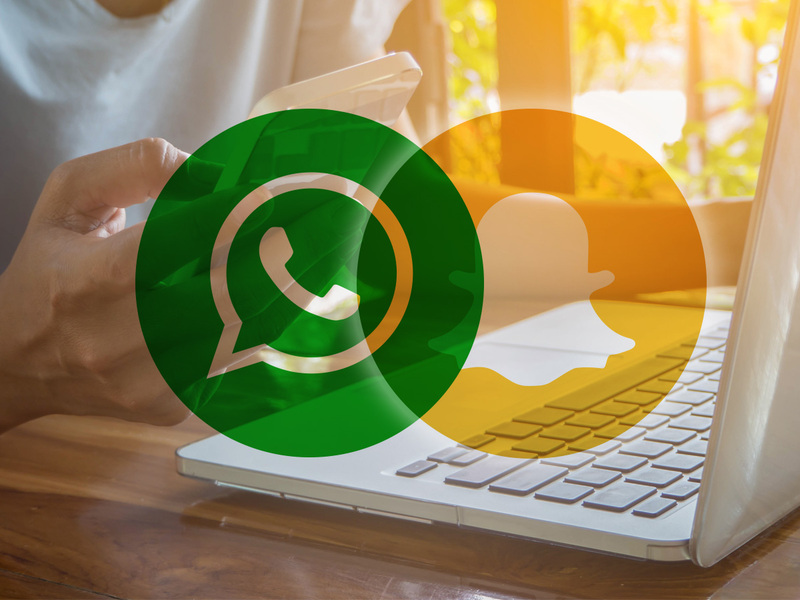 WhatsApp has also announced that the chat app is expanding its influence and product line-up from simple chat to a stream of user-generated content, somewhat similar to the Facebook newsfeed. Next time you look at your updated WhatsApp, you’ll notice a small circle surround by another, broken circle icon in the bottom left hand corner of the chat app, indicating a constant stream of consciousness in picture, text and video form your WhatsApp contact list. I fully expect brand messages to start appearing as Status updates right here in WhatsApp. This feature keeps chats away from brand messages, while it offers another way in which to interact with a closely targeted group, ie your contact list. Status boosts will soon show up as another ad unit purchase opportunity as part of Facebook’s ad offering, I strongly believe. As I understand this kind of messaging is targeted, unobtrusive and effective, I can’t wait for this WhatsApp Status opportunity to become available, because in the new world of communication, embedded brand messaging is the only way to go.